Parking is in the front and back of the building. Please understand everyone's natural eyelash fullness and eye shape are different so this means your lashes may not look exactly as a picture posted of my previous work. - We regret that Individual Services, Promotional Services, Sale Services, or Gift Certificates purchased for yourself or for another individual are absolutely non-refundable. There are NO REFUNDS on any services whatsoever. If you are unhappy with a service please contact us within 48 hours, and we will be happy to fix any issues you may have. Satisfaction Guaranteed is our policy! I have the right to refuse you service! I have the right to reschedule your appointment if you come to your appointment sick. Please do not schedule any appointments while you have SICKNESS. Thank you in advance. - Arrive to your appointment in enough time to park. 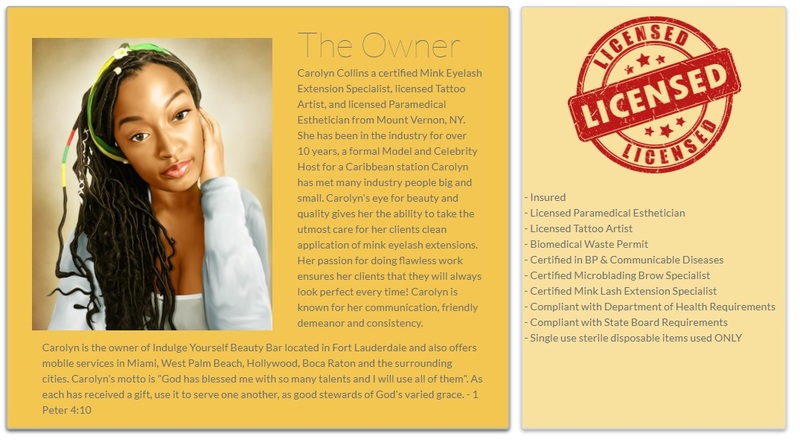 - Each client has an allotted time for their service, if you are late then you lose that time there are NO EXCEPTIONS. - If you are more than 10 minutes late your appointment will be cancelled and you will have to reschedule and pay your deposit again NO EXCEPTIONS. 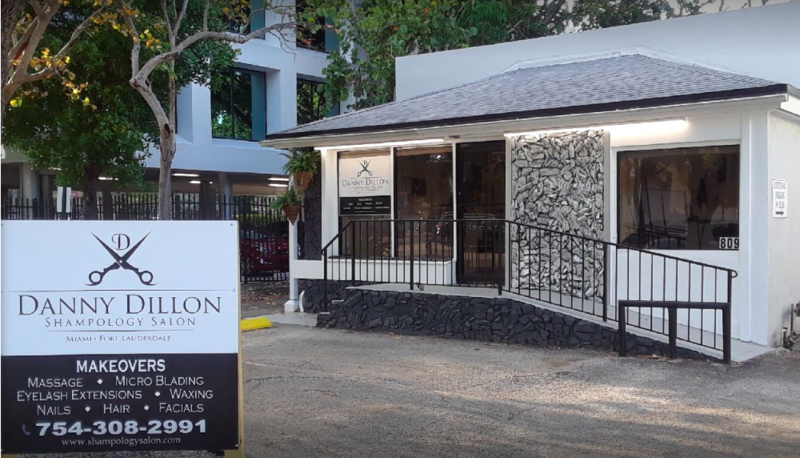 - Remember it is always better to be early then late, my studio is located downtown Las Olas so traffic can be a little hectic on some days. You will receive a confirmation email when you book your appointment with detailed information. You must come within 1 week this is a refill for clients with a Novice Set. You must have at least 50-70% of mink lashes attached or you will have to pay for a new set. This is only a 30 minute appointment. You must come within 1 to 2 weeks this refill is for clients who have an Au Natural set. You must have at least 50-70% of mink lashes attached or you will have to pay for a new set. This is only a 40 minute appointment. This is refill is for clients who have had the Not Quite Full set. Please be sure 50-70% of your mink lashes MUST still be attached. Note this is only a 50 minute appointment. This is refill is for clients who have had a Full set. Please be sure 50-70% of your mink lashes MUST still be attached. Note this is only a 60 minute appointment. 50-70% of your lashes MUST still attached. This is for clients who have a set of Russian Volume Lashes. 40-50% of your lashes MUST still attached. This is for clients who have Russian Volume Set. This set has 40-50% of mink lashes attached to your natural lash line. A beginner set can last up to two weeks depending on how you care for them on a day to day basis. You can choose any length with no additional charge. Note: Refills are within one week. A light natural set, this set has 60-70% of mink lashes attached to your natural lash line. A light set can last up to three weeks or more depending on how you care for them on a day to day basis. You can choose any length with no additional charge. Note: Refills are within 1 to 2 weeks. A Glamourous Full set has 80% of mink lashes attached to your natural lashes. This set can last up to four weeks or more depending on how you care for them. You can choose any length with no additional charge. A Full set has 100% of mink lashes attached to your natural lashes. This set can last up to four weeks or more depending on how you care for them. You can choose any length with no additional charge. This is a 3D Dramatic set which consists of up to 3 hours. 3D lashes are created with 3 light weight mink lashes to give a fuller and more volumized look. Do you have a thin lash line? That’s okay add this additional service to get some additional volume with your set or refill. 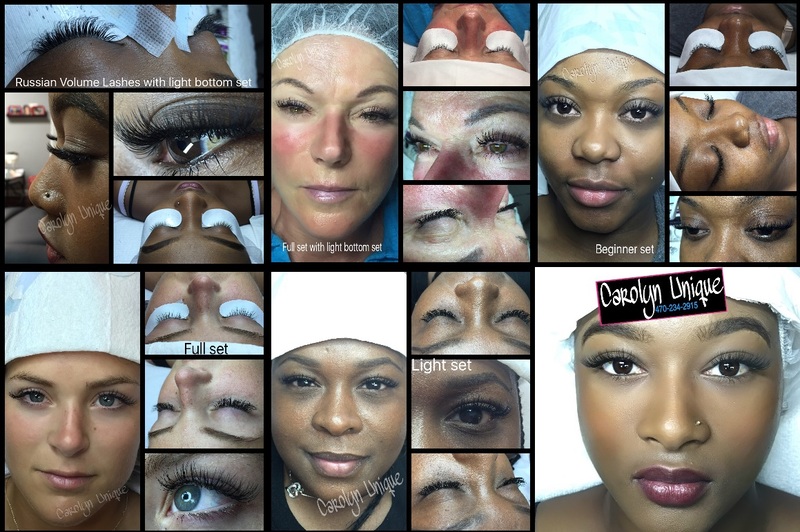 This training course is for students who already have their Certification for Lash Specialist. Please save your generated code so you can book your appointment online. Good for up to two refills a month, refills do not roll over. Cancel anytime with a 14 day advance notice. *Monthly automatic debit required. Good for up to two refills and one quick touch up a month, refills do not roll over. Cancel anytime with a 14 day advance notice. *Monthly automatic debit required. Good for up to one refill a month, refills do not roll over. Cancel anytime with a 14 day advance notice. *Monthly automatic debit required. Indulge Yourself Beauty Bar Gift Cards are the ultimate gift of relaxation and rejuvenation and are perfect for every occasion.